This amazing little bloom has cheered me up immensely. I purchased the little start back during the fall with a friend at one of the Portland African Violet Society sales here in Portland. 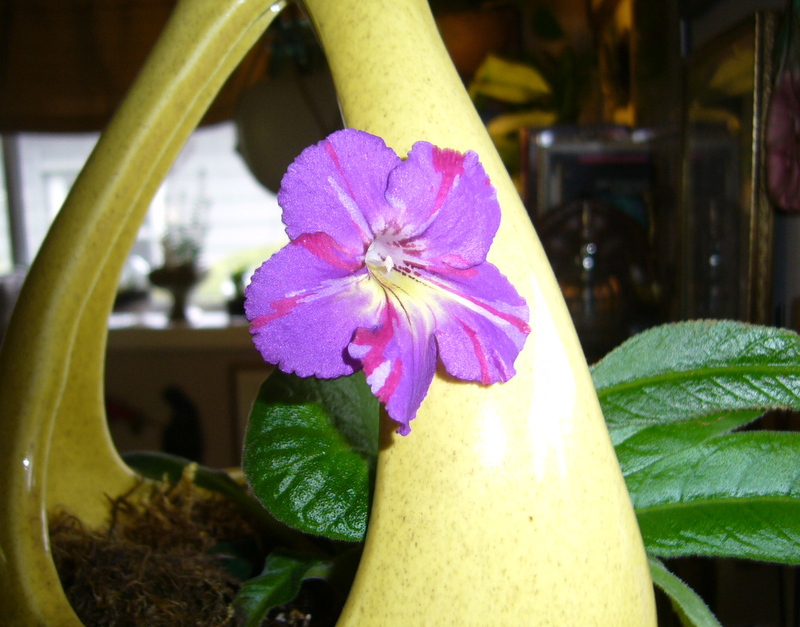 Up until then, I’d always enjoyed African Violets, but now I really love them, and their other family members too. This is Streptocarpus “Spin Art”. It was hybridized by Thompson and has been available for some time now. It is very popular and I can see why. The gourd planter it is currently housed in is a vintage Red Wing Pottery hanging planter I bought a year or two ago. I love how it showcases the bloom.